We are lucky to be graced with an original Wyland mural on the side of our new EPIC building in downtown Tacoma. 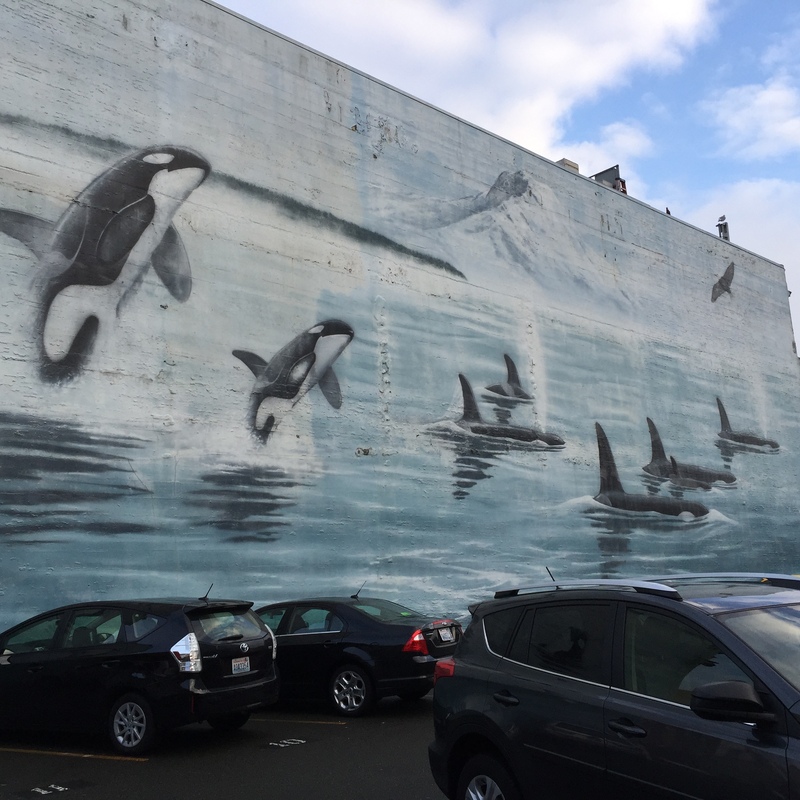 Not only is the mural a beautiful reminder of the nature that surrounds us living in the Great Northwest, it is also one of only a handful of murals Wyland has painted around the world. The next time you’re in downtown Tacoma take a peak at the mural located at the Bowes Building on the corner of 9th and Court A. The building will be undergoing big changes in the next few months as construction gets underway. 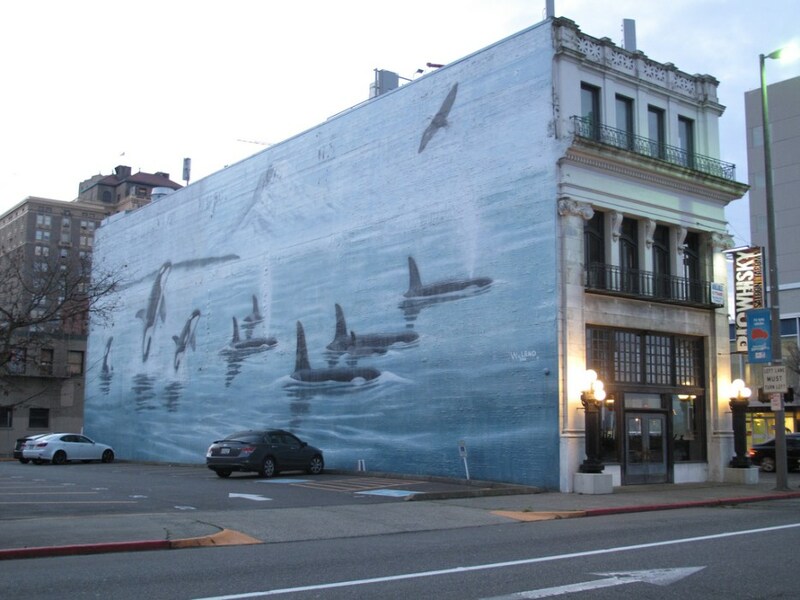 However, the Wyland Orca mural will remain unchanged as it has for the last 35 years. The Wyland Foundation is a non-profit organization, is dedicated to promoting, protecting, and preserving the world’s ocean, waterways, and marine life. The foundation encourages environmental awareness through education programs, public arts projects, and community events. In 2008, the Wyland Foundation completed their incredible goal of painting 100 life-size public marine murals. These murals were painted in life-size dimensions to increase appreciation and understanding for aquatic habitats and the life within. Perhaps, most importantly, they have reshaped attitudes about marine life conservation. Originally posted by attorney John Christensen on his personal blog.